My favourite train is the GE Evolution series. The idea of super efficient rail lines crossing the nation and driving commerce was enchanting. Little did I know that north america already has that, which is a fantastic surprise! In hindsight the GE Evo was only a iteration on existing design. Fashion wise it is little more than a solid monolith of pulling power. I happen to like monolithic design so I won’t call it ugly but I see why it might get called boring. With its engines reducing emissions on the railways by 40 percent, the Evolution is certainly remarkable – and since it looks very similar to the GE AC4400CW, we practically have this engine in the game already. I recently travelled with the China Railways CRH3C based on Siemens’ ICE3, going at 290 kmh (more than 180 mph) for much of the journey, so that is my current favourite. Mine would be the British Rail class 43 – the High-Speed Train. Still in service, still fast, an enduring part of BR’s legacy. I really love the design of the EMC E2. The City of Los Angeles in particular. Love the art deco stylings and the idea of that pulling into Union Station in the late 1940s early 50s. My favorite is the Japanese Sonic just because I’d like to think it was named after Sonic the Hedgehog. Since the train is blue with a mow-hawk like roof I cannot be the only one in on the joke. My fav trains are the original 0 Series Shinkansen trains. These are the first high speed trains in Japan from the early 1960s. I love how they look and became one of Japan’s defining modern features. My favorite Train was the NYC Twentith Century Limited lead by the J3 Hudson. The Hudson (4-6-4) was a great example of Steam style, power and speed and I live near the old four track mainline through central New York. Thanks again for holding this contest and choosing me as the winner. 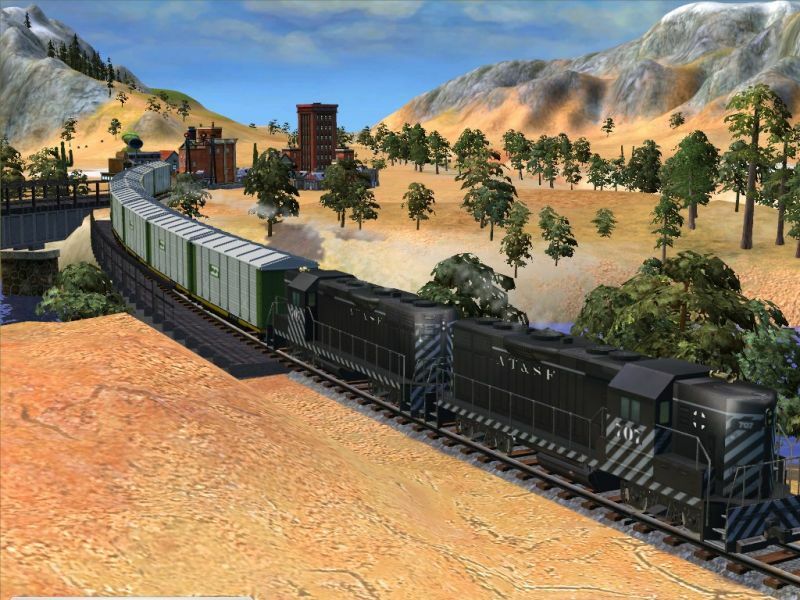 I’m really excited to start playing with my virtual toy trains. There is an error in the title. You’re is the contraction for “you are.” The possessive form of you is your. Thank you Hari I’ve fixed the misspelling. I should know English better, really I have no excuse. Sorry, but how You can do this? Only downside to its integration in the game: TGV only works with two motorized locomotives (one which pulls, one which pushes).